When Brian Farrell took over the Boys’ Latin lacrosse program, following more than three decades under the leadership of the legendary Bobby Shriver, there was uncertainty about how the Lakers transition to a new era. However, Farrell, who once starred as an All-American defenseman under Shriver, fit in seamlessly and the Lakers cruised to a 14-4 season, a No. 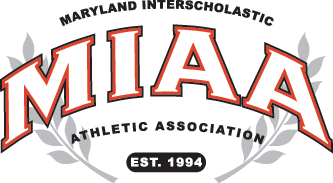 5 national ranking and they went all the way to the MIAA A Conference championship game where they fell to McDonogh. Now the program is excited about the opportunity grow and flourish under one of their lacrosse alums. In 2017, Farrell brings back six starters, including five on offense, all Division I commits. Seniors Luke Shilling (Johns Hopkins) and Matt Brandau (Yale) will lead the attack, while senior Greg Ey (Penn State) and Koby Russell (High Point) will power the midfield. Junior Basil Aburn (Syracuse) will flex between midfield and attack and senior Jake Galtz (Penn State) will handle the majority of the face-off duties. In addition, junior Michael Ubriaco (Johns Hopkins) will be a key long stick middle and Reagan McNemar (Air Force) will anchor the defense. With so much fire-power back on offense and Farrell’s knowledge of building and managing the defense, the Lakers should once again be among the top teams in the MIAA and nation. Want to see your team previewed: VSN is in the process of publishing previews on spring sports varsity teams. To see your team previewed, click here to view and complete our Preview Form to submit information to us.